In September 1974 Atari acquired a 50% stake in the French company Socodimex. With this money Socodimex bought the manufacturing facility of defunct company Electro-Kicker (manufacturer of the Jupiter jukeboxes) from the French government. This was facility was based in Baumes-les-Dames, France. Under the name of “Atari Europe” six jukeboxes were produced and distributed to several European countries. 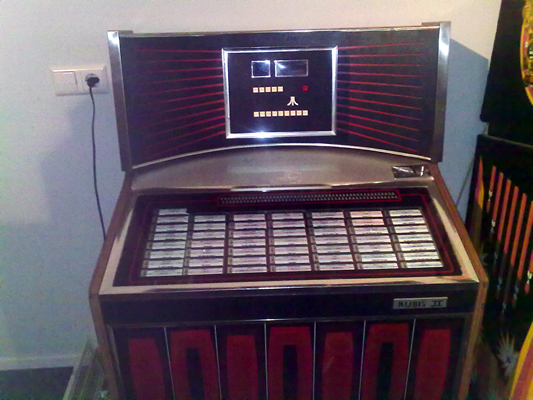 In 1976 the jukebox division was acquired by Europe Electronique SA, but the Atari brand was used until the end of 1977. (c) 2019 Atarimuseum.nl | please also visit www.rewindgames.com the retro games discounter!